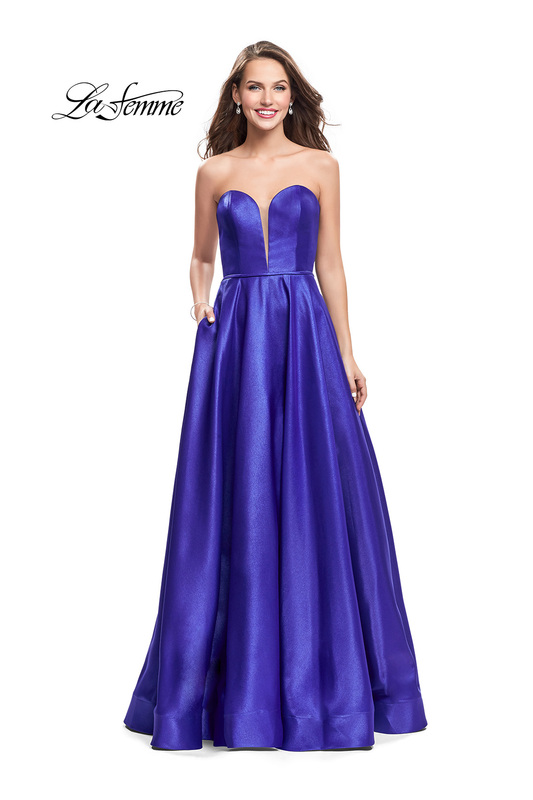 Stand out in this elegant mikado strapless A-line gown. 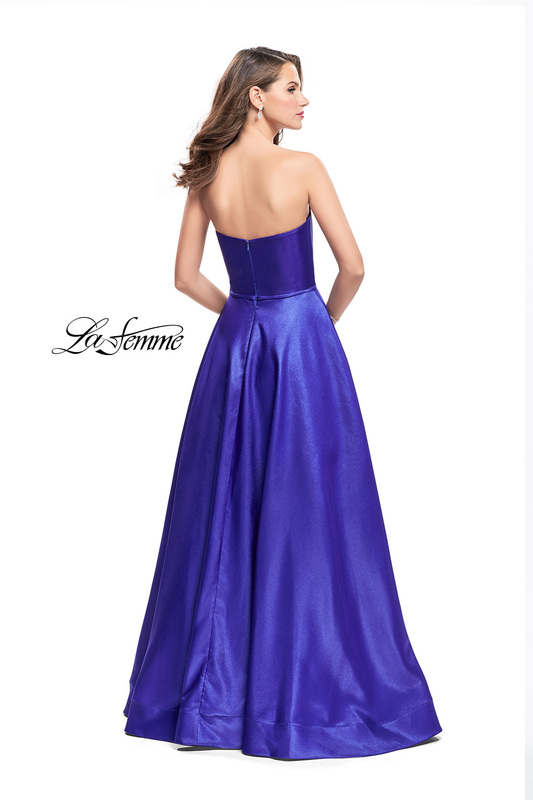 Featuring a plunging sweetheart neckline and pockets in the skirt. Back zipper closure.